How to setup a shipping cost for every additional item? I have problems with the form calculation the shipping cost for 2 products. I only can make it work for 1 product. What am I doing wrong? The calculation of the shipping cost of the clips doesn't work. 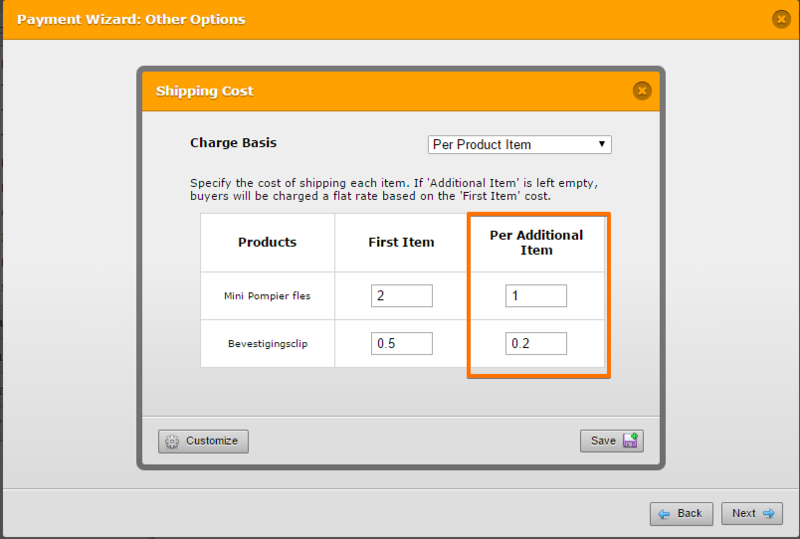 You have to setup a shipping codes in your purchase order payment integration. Here's how you can do that: https://www.jotform.com/help/304-How-to-add-shipping-cost-to-Payment-Forms. And please use a full stop or a dot instead of a comma for Decimal Places. So, I've cloned your form and made the changes to it. You can check the shipping cost here: http://www.jotformpro.com/form/51194858247970.